You are here: Home>People>Owens Brothers. 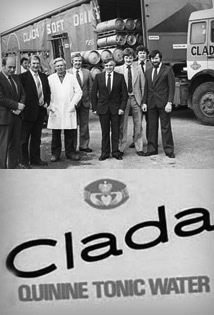 History of the Clada Group which was set up by the Owens brothers from Ballaghnagrosheen in 1962. Clada opened on Friday 13th 1962 at its original premises in Waterlane, Bohermore, Galway. Unlucky for some, the Friday 13th opening proved very lucky for brothers Michael, Paul and Tom Owens from Ballagh, Menlough, Ballinasloe, who established the company. At the time, there were five other bottling companies in Galway city, but today Clada Mineral Water Co. Ltd. is the sole bottling company in the West of Ireland. The initial business focus was the sourcing, bottling and distribution of carbonated soft drinks but grew over the years to include the importation and distribution of fruit and vegetables from around the world. Clada were known throughout the West of Ireland as the ‘Fruit and Drinks People’. In the mid 70’s, Clada made a move to a green field site on the Headford Road, Galway where the company is currently based. This location proved to be quite an asset as there are three springs naturally occurring on site. Given the limestone nature of the locality, the water is refreshingly rich in calcium. 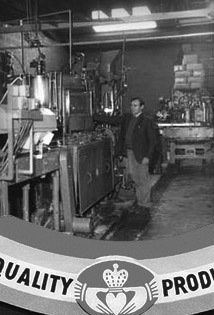 Clada continued to grow through the 80’s with the wholesale of fruit and vegtables, incorporating banana ripening rooms. The 90’s brought the expansion of Clada’s distribution network throughout the Connaught region. 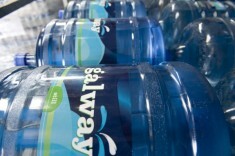 To add another string to their bow, 1998 saw further investment in the logistic facilities at Ballinfoile, Headford Road, Galway and the introduction of a second production line. Continued growth necessitated the addition of a third production line in 2004 which has resulted in creating one of the most modern and highly automated production facilities in Ireland. The initial site has continued to grow substantially over the year and now incorporates a 100,000 sq.ft. production and distribution facilities which are second to none.